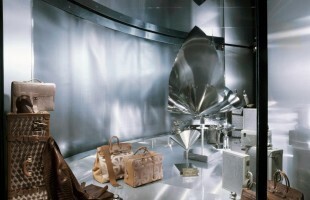 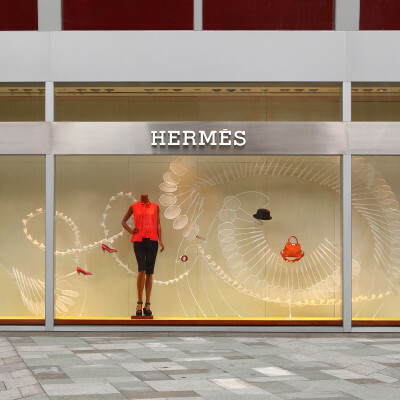 Hermès is a French manufacturer of quality goods established in 1837, today specializing in leather, lifestyle accessories, perfumery, luxury goods, and ready-to-wear. 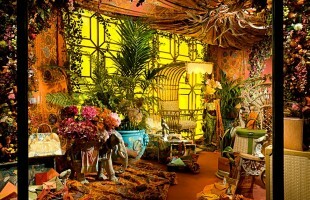 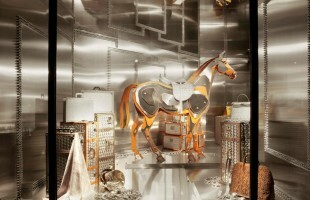 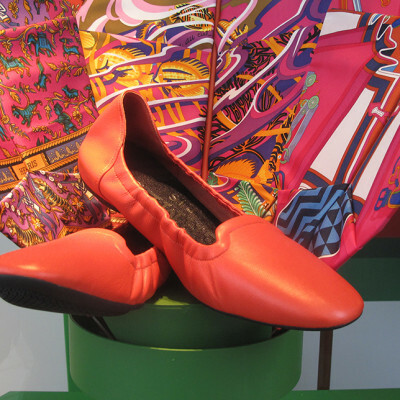 Design Systems Ltd created a window display for Hermès with the theme ‘A Sporting Life’. 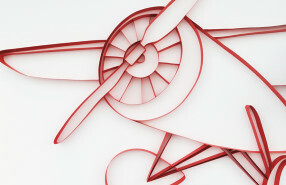 Up in the clouds with Hermès old airplane made from paper. 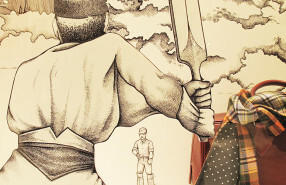 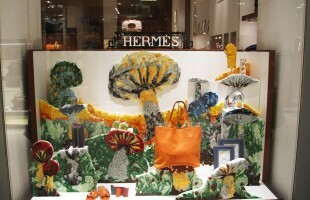 Hermès has drawings of the bat-and-ball game ‘Cricket’ for the window displays. 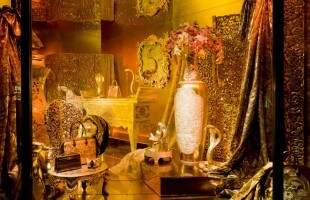 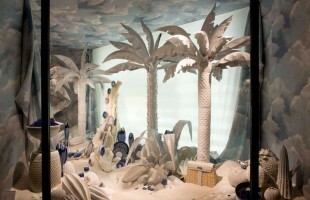 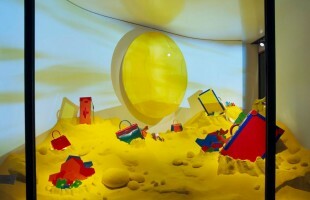 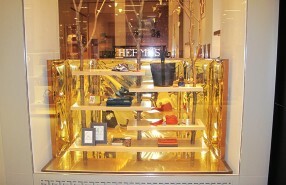 Hermès used a golden setting for this winter window display.